4k00:20Three tropical palm trees on a windy day, with summer sunny blue sky as copy space and outdoor background. hd00:16Moving shot of wind blown Palm Trees in sunny Beverly Hills, California. 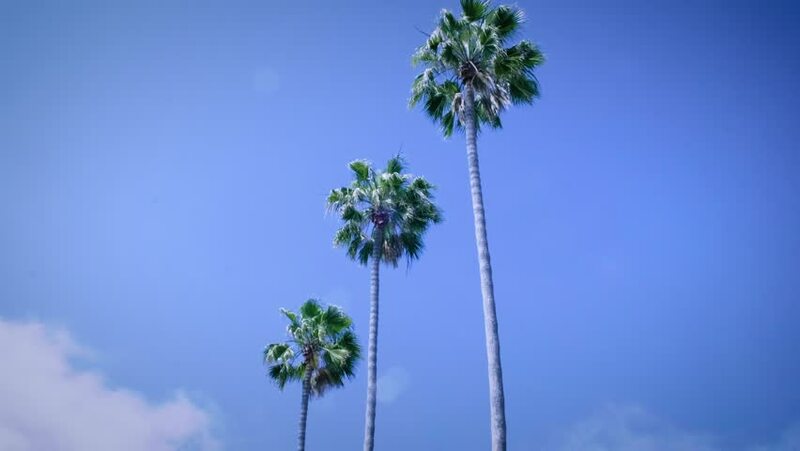 4k00:16Palm trees blowing in the wind along the sandy and sunny beach in the paradise of Santa Barbara, California in slow motion. 4k00:10Low angle shot of palm trees blowing in the wind. hd00:09Lonely palm tree blowing in the wind against a blue sky in Saguaro National Park, near Tucson, Arizona.